Being heavenly auspicious symbols, this Dragon & Phoenix Ingot is designed not only to enhance one's prosperity luck, but also the romance fortune. Display this dragon phoenix ingot in the southeast corner of the house to keep the positive financial energy running. Singles can display it in the southeast of his/her bedroom to activate love luck. 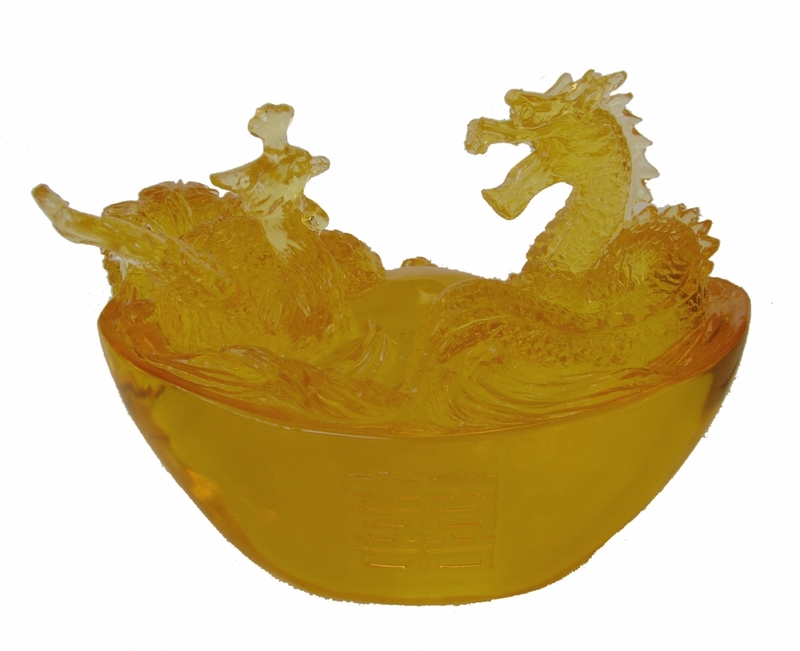 The Dragon Phoenix Ingots statue is made of artificial liuli. The dimension of it is approx. 5 1/2" x 3 1/4" x 4 1/4".